Hobby Lobby is that place that I really should stay away from! But alas…..I can’t…and I won’t. 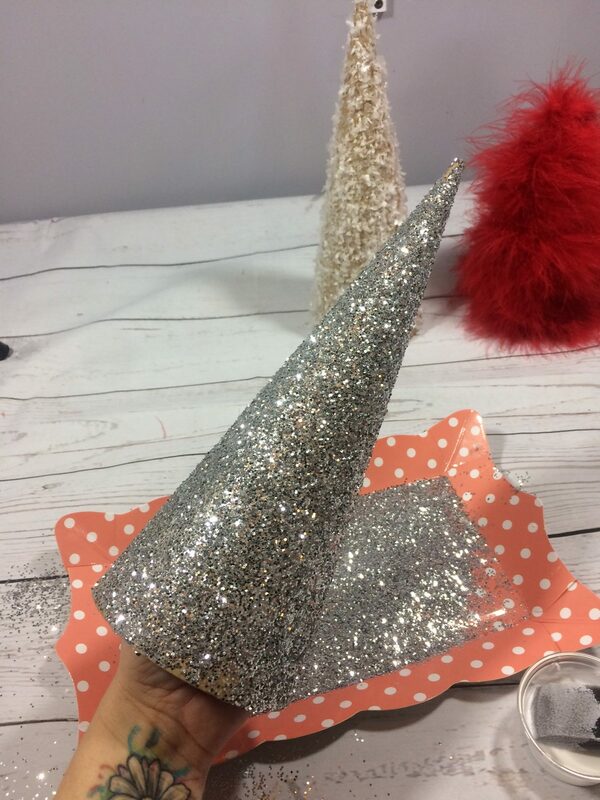 So when I went in BEFORE Christmas and bought these craft cones for a Christmas projects….they sat and never got attended to. So out they come for Valentine’s Day! Who says they can only be Christmas trees? Not me! I opted to use some fancy stuff that I love to cover them along with some snow…because here in Kansas, we usually have snow in February. 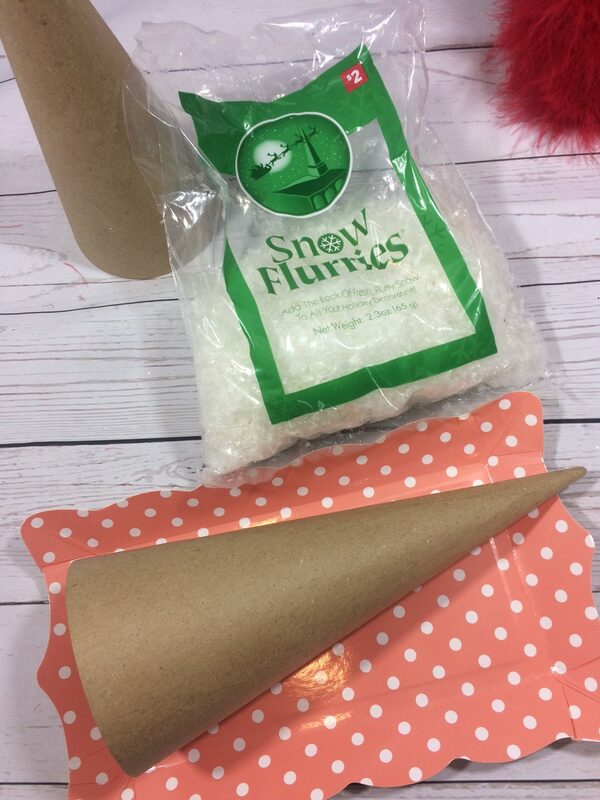 The supplies are simple! 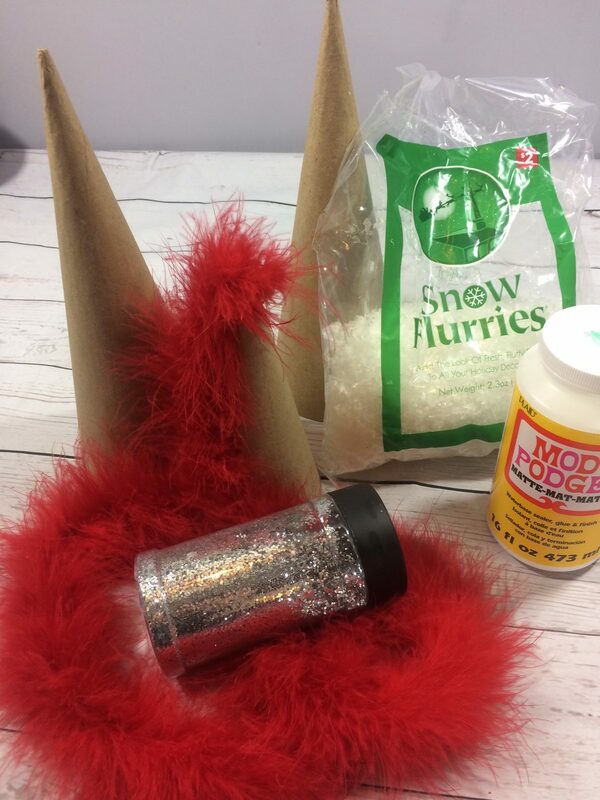 Cardboard cones, Mod Podge, snow flurries, a feather boa, and some GLITTER!!! 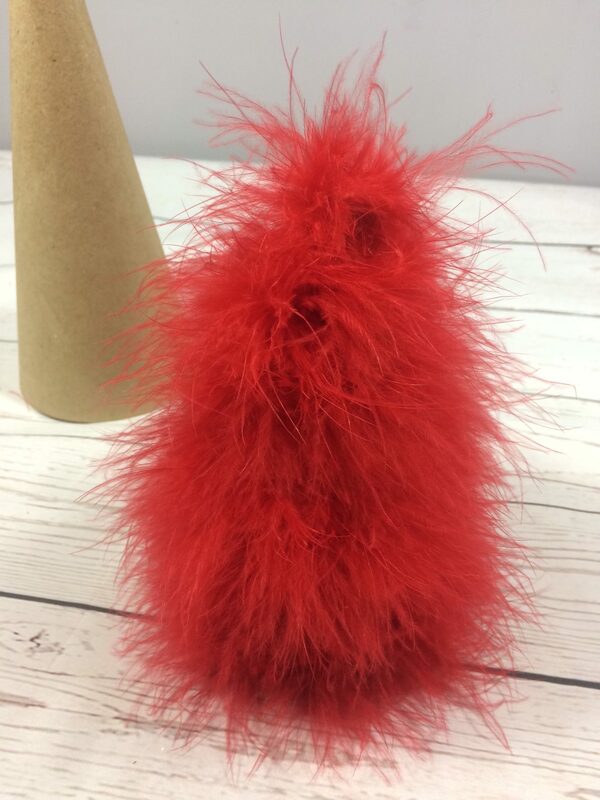 Using hot glue, attach the boa to one of the cones by gluing and wrapping. Easy peasy. 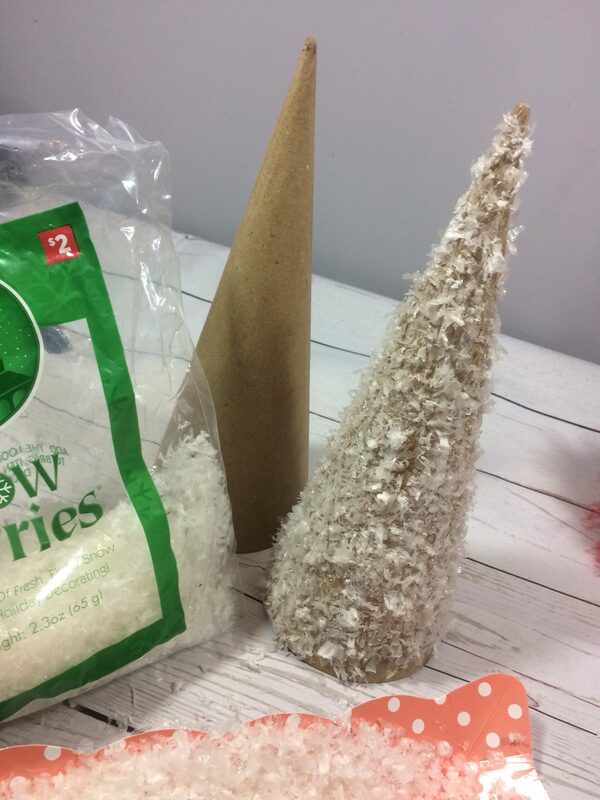 Using Mod Podge, coat one of the cones throughly and press snow flurries onto it. Let dry. 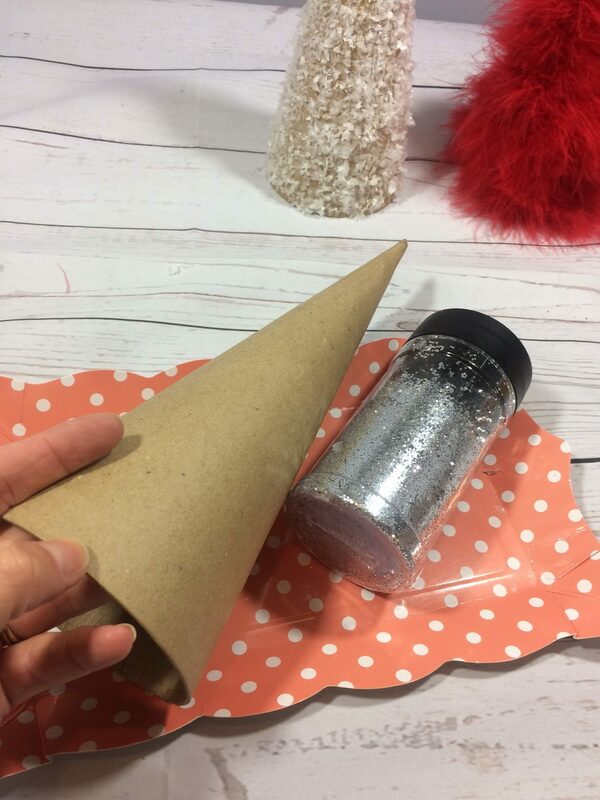 Using the same concept as the snow flurries, apply the glitter. 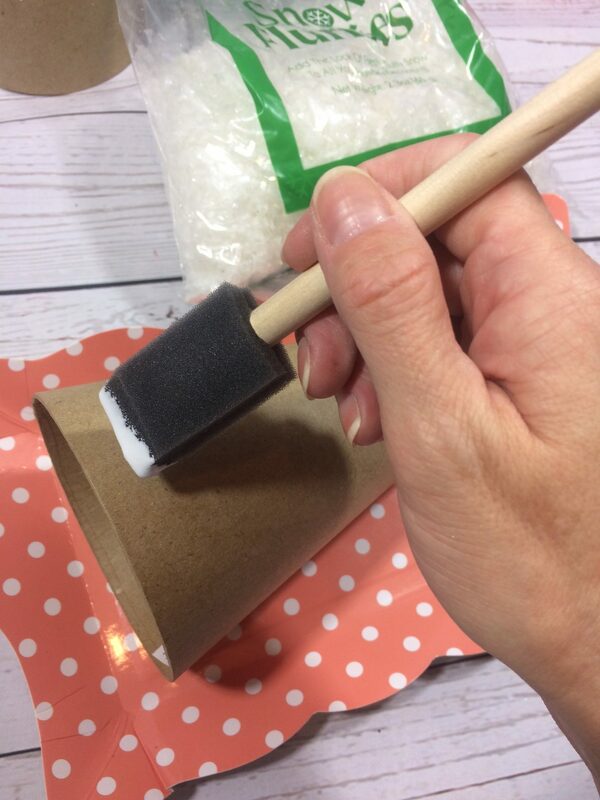 You can do a second coat after the first, if you want it to be more heavily covered. Then DISPLAY!!! What are you working on for Valentine’s Day? You can check out the Framed Washi Tape Heart here!